Do you like to read new books before everyone else and post book reviews on major retailer websites? If the answer is “yes,” join Jenna Barwin’s ARC Team by signing up below. We’ll let you know about Jenna’s upcoming releases and how to obtain an electronic Advance Review Copy (ARC). Her next release, Dark Wine at Dusk, will to be released for ARC review in Spring 2019 (in Amazon MOBI format). 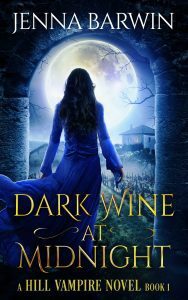 Last day to sign up as an Early Reviewer for Dark Wine at Dusk is May 8, 2019. Yes, add me to Jenna’s Facebook group! If you have any trouble subscribing, please temporarily accept cookies and turn off tracking protection on your browser.